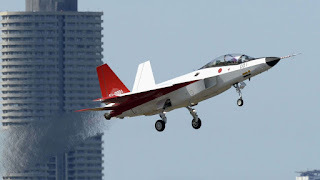 TOKYO, -- Japan joined the exclusive stealth jet club Friday with the successful test flight of its first radar-evading aircraft -- a prototype called the X-2. The test pilot described the flight as "extremely stable," according to manufacturer Mitsubishi Heavy Industries. 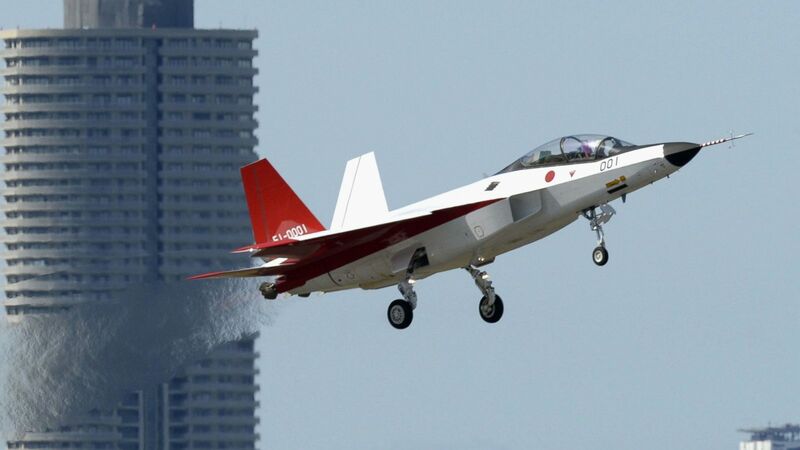 The twin-engine jet -- painted in the national red and white colors -- took off from Japan's Nagoya airport and completed various test maneuvers including climbing, descent and circling. It then touched down at Japan Air Self-Defense Force's Gifu Air Base, Mitsubishi said. The pilot said the flight mirrored simulated training. The historic event is the latest example of Japan's assertive defense posture in the region, as China's military continues to flex its muscles, with a 7.6% increase in its 2016 defense budget. Beijing's Shenyang FC-31 fighter jet appears to have stealth characteristics, but few engineering details are known about it. China's fifth-generation twin-engine J-20 fighter is also thought to be a stealthy design and is expected to be fully operational by 2018. Japan's development of a stealth fighter jet will add another component to an already complicated security environment. World leaders are concerned about tensions on the Korean peninsula and territorial disputes in the sea lanes running south from northern Asia. With all this going on, Washington has to remain mindful that Japan hosts most of the key U.S. forward bases in the region. The Japanese X-2 that flew Friday "integrates an airframe, engines, and other advanced systems and equipment all adaptable to future fighters" Mitsubishi said. The engineering of radar-evading stealth technology remains challenging even now, decades after the United States first invented it. Specific surfaces of the planes are designed to absorb radar signals or to deflect radar signals away -- making the aircraft virtually invisible to electronics. Special coatings are applied to exterior surfaces that make the planes even less detectable by devices. The U.S. F-117 Nighthawk (no longer in service), B-2 Spirit bomber, F-22 Raptor and F-35 Lightning II fighters all have stealth designs. A prototype of Japan’s first domestically developed stealth fighter takes off from Chubu airport in Aichi Prefecture on Friday morning.